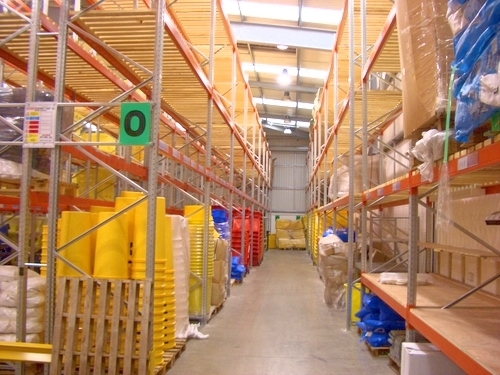 Timber and Shelf Mesh Panels are used for storing non palletised loads or for allowing damaged or odd sized pallets to be safely stored on racking. The Timber Panels can be either Open or Close Boarded timber construction, depending upon loading and storage requirements. 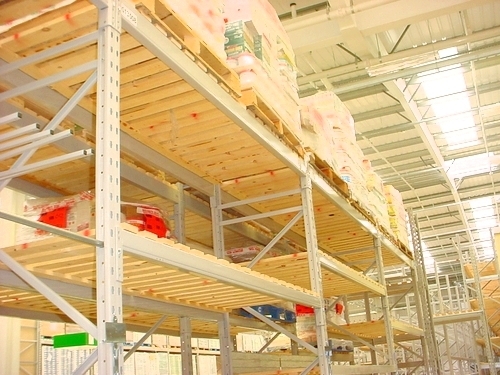 The Timber Shelf Panels can be sawn timber when accessed by fork lift trucks or planned timber to prevent possible splinters where goods are hand picked. 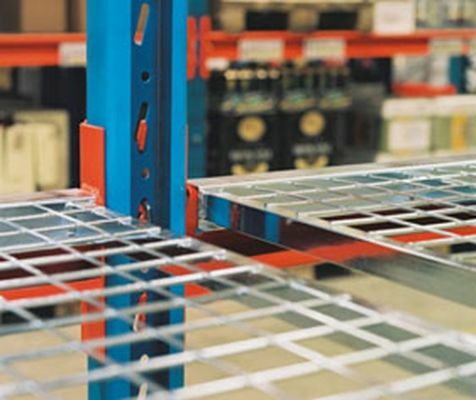 Steel Shelf Panels are used to create picking levels on lower levels of racking, converting pallet racking to long span shelving. 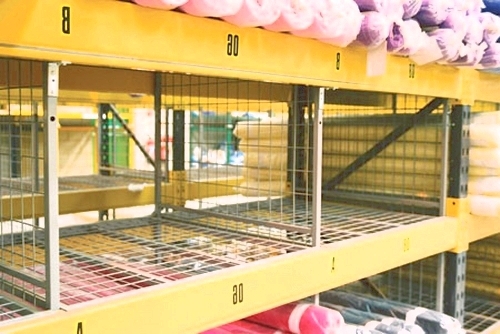 Mesh Shelf Panels are used where light or smoke is required to penetrate the racking systems. 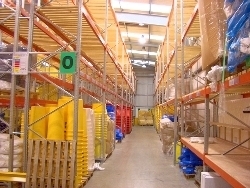 The mesh Panels can be designed to suit most loading requirements.